The Sacred Sound Retreat offers you the opportunity to interact with instruments and ritual pieces from the 4 corners of the world and antiquity. No musical experience is required for this program. This year's program will be hosted by Mitch Nur,PhD. and Two Horses Running; with Special Guests. This is Mitch's 12th year with the Sacred Sound Retreat. 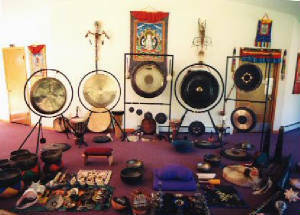 He has been a practitioner of sacred sound applications and vibrational healing for 30 years. He is an energetic and provoking teacher who has traveled all over the world and has studied many traditional and non-traditional methods. His lectures and demonstrations feature a extensive blend of history, science, and culture; with a hands on approach enabling students to not only fully grasp a subject, but to go beyond the academic to genuinely experiencing the discipline. And lets not forget his penchant for humor, which makes his lectures very unique. The primary focus of his work is to provide all students the means by which to use sacred sound instruments to heal and strenghten their physical and mental states. In turn, enabling them to help others. What primarily seperates Dr.Nur from other instructors in this field is that he has actually lived and studied in the Himalayas. He is a student and teacher of these eastern traditions, and is a practitioner who incorporates the teachings into his daily life. He is currently in study with Bon and Nyingma Lineage Lamas. Two Horses Running is a senior teacher of the 9ways Mystery School. She is a practicing Native American Buddhist/Bon shaman in training since the age of 9. 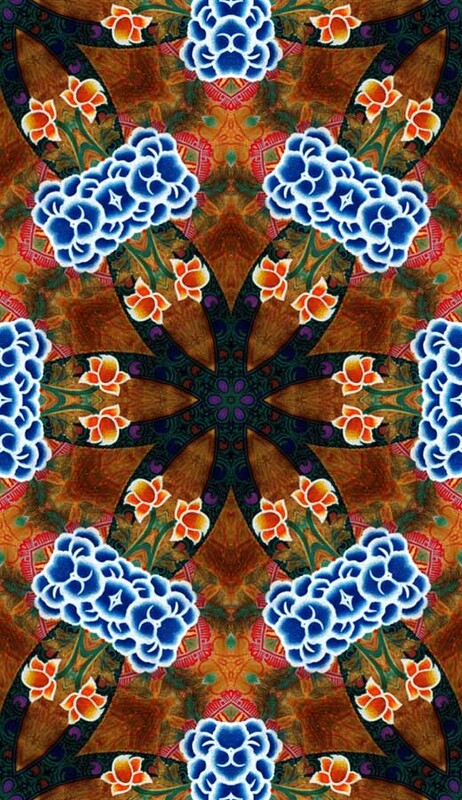 She has developed a unique manner to present multi cultural shamanic practices and vibrational healing techniques. Two Horses is a compelling and direct instructor, enabling students to grasp the essence of her teachings quickly and completely. She is a highly regarded teacher of the ancient Bonpo Shang, Himalayan Shamanic Rituals and Ritual Elements of the Buddhist, Bon, and Native American traditions, as well as an accomplished author, artist, and Traditional Buckskin Dancer. This is her 8th year with the Sacred Sound Retreat. Two Horses is currently in study with Bon and Nyingma Lineage Lamas. Retreat Sign In is at 7:30pm on Monday, August 15th, and orientation will begin at 9pm. The first class begins at 9:30am on the 16th. The Retreat will conclude at approx. 9pm on the 20th, and lodging is included on the 20th. The meals will be vegetarian. If you have special diet considerations, please let us know, our caterer is very flexible. There are no cameras or recorders allowed during class, but photos between and after are encouraged. Please be thoughtful of your subject and ask permission of your classmates first, as they may not wish to be disturbed. Bring an eye covering and a pad or blanket for the drum journey. If you wish to bring your own instruments, by all means bring them, we love to share instruments and experiences. Shang students please remember to bring your shangs with you, and Phurbas if you have one. Students that own drums or rattles, please bring them with you for the power drum dance. * Last year's Retreat was sold out, 2 months in advance. it is recommended to register as early as possible to insure your place. Click Here to view pictures of last year's Retreat and other 9ways programs. The original and premiere Sacred Sound Retreat offered in the USA!